A class of Pyragas type nonlocal feedback controllers with time-delay is investigated for the Schlögl model. 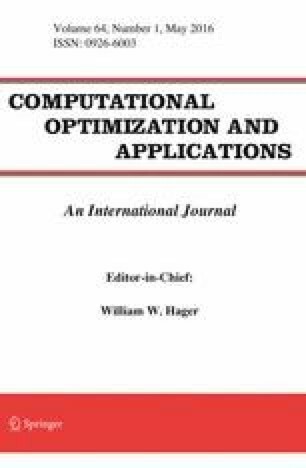 The main goal is to find an optimal kernel in the controller such that the associated solution of the controlled equation is as close as possible to a desired spatio-temporal pattern. An optimal kernel is the solution to a nonlinear optimal control problem with the kernel taken as control function. The well-posedness of the optimal control problem and necessary optimality conditions are discussed for different types of kernels. Special emphasis is laid on time-periodic functions as desired patterns. Here, the cross correlation between the state and the desired pattern is invoked to set up an associated objective functional that is to be minimized. Numerical examples are presented for the 1D Schlögl model and a class of simple step functions for the kernel. This work was supported by DFG in the framework of the Collaborative Research Center SFB 910, Projects A1 and B6.